Had some SM's ask me about it today, I have never been in the position to receive one myself. So I cant do anything but look at the vagueness of the regs. But I have seen teams and all personnel receive it in similar situations. The question is, does ALL CAP personnel who participated in the mission receive it? Or is it JUST for the team that found it? That's up to the awarding authority (WG/CC, or if delegated, Grp/CC or IC), but typically the team/aircrew who makes the find and the base staff should receive credit. EDITED to add: Other teams/aircrews on the mission would not receive the find credit. once the AFRCC awards the Find. to check off the places something isn't when trying to figure out where something is. I only have two finds myself (non-distress ELT's) but I have been base staff on several. I wasn't keeping track, didn't know I got credit for that. Under the criteria for the award of the “Find Ribbon”, in CAPR39-3, I find no authorization for its award to any positions other than aircrew & ground teams. It does specifically say that “both aircrew and ground team members may receive credit for finds.” However, no mention in any form addresses a “Find” credit being awarded to base personnel. I would ask someone to please provide the authority authorizing such an award if known. The verbiage regarding "air crew and ground teams" is not exclusive in nature. Looks like I was right and wrong all at once. CAPR 60-3, 1-28 towards the end of the paragraph. Pretty much anyone signed into the mission may be awarded the find ribbon at the discretion of the wg/cc or designee. One can argue the wording in the regulation regarding the Find is grounds to award one to Base personnel. But it is not clear cut. However look at the wording for the Air Search and Rescue Ribbon. Section 21 c. Air Search and Rescue Ribbon.... (2) Ground Personnel. Credit given will be computed on the basis of time spent on a mission and the nature of the duties performed. (a) Ground personnel performing hazardous duties such as ground rescue or ground search, may be credited with one sortie for each 4 hours of actual participation, but not to exceed three sorties in any 24-hour period. (b) Ground personnel performing non-hazardous duties, such as base support or staff functions, may be credited with one sortie for each 8 hours of participation, but not to exceed two sorties for any 24-hour period. This second ribbon is clear-cut. Not so the regulation on the Find. However, can you conceive of a situation under which you award credit for participation on a Search, but state "Sir we are awarding you credit for searching but no sir, we cannot award ya a Find as you were base support?" If I were in that position, I would 1) request a search then 2) a Find. Except that mission staff do not make finds. Also, there's the following paragraphs which limits credit to members of the team/aircrew since giving credit to others is not mentioned. (2) Finds by Aircrew Members. In case of a search and rescue find by aircraft, a ribbon will be awarded to all crew members. This applies to both “find and rescue” operations and “find and report” operations. For example, when the search objective is sighted, rescue by aircraft may be impossible so the crew reports the find by relaying the information to an official ground station. A bronze three-bladed propeller device will be worn centered on the Search “Find” Ribbon earned as aircrew members. (3) Finds by Ground Personnel. If the find is made by search and rescue ground teams, the ribbon will be awarded to all members of the team which locates the objective. Ground personnel will wear the Search “Find” Ribbon without the propeller clasp. There's nothing in there about members not making the find (mission staff, other teams, etc.) getting credit. Here is a copy of the quote; maybe that will make it more "visible". I think I see a distinction between distress finds and non-distress finds. On the latter, only the persons actually making the find get the ribbon. However on an actual search involving real people, base staff DO count. At least that's how I read this. Thank you for the reference. However, CAPR 60-3 is not the prescribing directive for the award of medals and ribbons, CAPR 39-3 is the sole authority for their award. If any Directorate wished to change the governing regulation to include additional individuals for an award, it would have to request and receive an approval to change CAPR 39-3, the prescribing directive. Look at it this way; if I was the Directorate of Professional Development at National and decided one day to write into CAPR 50-17, that any member that served on a professional development course will be awarded an achievement award for their service. And referenced CAPR 39-3, for the details on how to submit that award; would that now be a new standard? Even our parent organization, the USAF, follows the same logic. Bottom-line; if it’s not written in the governing regulation, it isn’t proper or legal. You know that that is not how CAP actually works. 39-1 makes the same assertion and that is also demonstrably false. So I see that this is DEFINATELY up for interpretation. The reason I asked this is because a crew from my Squadron spent 5hrs on a ground team trying to find an ELT. They did not find it, the aircrew found the ELT returning back to base. The ground crew did not get credit so NOW the issue is they are demoralized due to time and personal time and money spent trying to accomplish the mission, so they are wondering why they are even on ground crew if aircrew gets all the credit for finds? Any advice on how to keep the team together since if you are aircrew it is MUCH easier to find an ELT vs Ground search? Case in point 5hrs time on ground, an hour as aircrew=Aircrew credit. The mission gets the find, not individual crews. You can't run a mission without the base staff, and how did they deactivate it from the air? They should be on the PA. They landed at the airport (in a different wing) and deactivated it. Fair enough, but it's still not a contest or a race, it's a team effort. Agreed. Not a race, but that is the way it is coming off to the ground crews since they cant get to the area as fast as aircrew. Makes since? Okay, you have just shown that if you rationalize enough, following the regulations isn’t necessary. Until the governing directive is changed, wrong is wrong and any commander doing so violates the CAP Core Value of “Integrity”; nothing less. I chose to follow the regulation. Please explain that last mesage I dont know what your referencing. Except that your example is incorrect and the regs are not contradictory. CAPR 60-3 describes the criteria for awarding the "Find" credit to members; CAPR 39-3 describes how to award the "Find" Ribbon for that "Find" criteria. The TEAM makes the find. Not just the Pilot, not just the Observer, not just the Scanner. The crew on the flight that made the find.....did not end up in that grid in a vacuum. Other crews flew other grids, the planning staff kept track of all the intel, negative contact reports, POD of all the grids searched and assigned what grids to search. The Ops staff assigned the aircrew to the sortie. The communications staff made sure that everyone could talk. The Logistic staff made sure everyone has something to eat, fuel, lodging, etc. The Finical Staff kept track of the money. The PAO staff keep the public informed of the search status. The IC ran the show. The TEAM made the find. Sometimes the find happens with little or no support from a full on mission base staff. In that case then only the aircrew/ground team gets the find. I was wondering how the aircrew turned it off, unless it happened to be at the airport they were operating from - in which case why didn't they notice it then? There's more then a few missions where the aircrew isolated the ELT to an airport, landed and deactivated it. It's the IC's call. Dwight, happens often. And no, it does not necessarily is the airport the search plane starts from. Sometimes it is, sometimes it is not. Well the IC made a bad call. Ruined moral, and now no one wants to do missions due to that decision. Someone made the comment above. 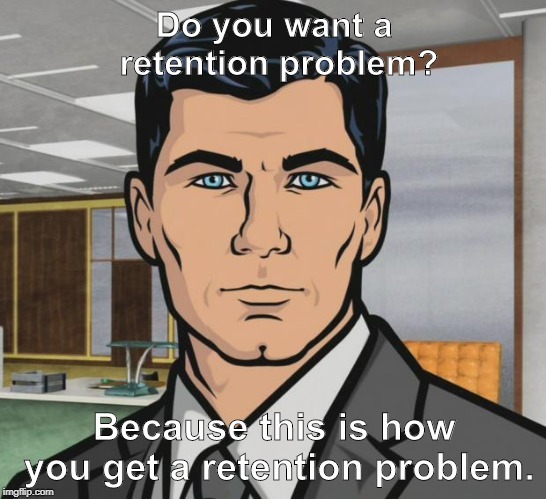 You want bad retention rates? This is how you get them. The plane would not have known where to fly without those GT's voiding out unknowns. Now we have the new members questioning what the point is if only a handful of team members get recognition? They understand the mission itself is to save lives, but it is demoralizing I imagine to do a job and only have a few members of the team receive recognition. OK, folks, let's lighten up a bit. Sadly, we have 52 wings, and seemingly, at least 52 ways of handling finds. I'm not saying it's right, but it is reality. I have been the "victim" of policy myself, one time twice on the same day. But it's OK, we got the errant ELTs shut off, and went on with life. Agree, SAR has many moving parts and is very much a team effort (in CAP).. we need to understand that the guys in the field may not see all these parts, but they do exist and contribute to the overall mission. Do other SAR organizations track finds & saves like some sort of contest? Not sure it is a ‘contest’, but as volunteers it can sure be nice to be recognized for a job well done..
no other reason then self-preservation at funding time. Dont you remember those ribbons that some PD have on their pockets? It is not only for arrests. Includes other stuff. I've worked in EMS, Fire, Law Enforcement, State Guards, and Security, not including other volunteer organizations. CAP is the only organization I have volunteered for that will reward individuals only, for a team effort. So this logic does boggle my mind. By doing so, it all makes sense that every Wing I go to they cant get ground teams for training or actual. You won't find that problem in any other public service organization where a team completes a mission, and part of the team is shunned. The FAA, Coast Guard, USAF, US ARMY, US NAVY....just about everyone does. It is how you keep getting government money. It is how you keep and retain people. No contest, just operational metrics.... like any other field, anywhere. From an office manager tracking data entry speeds of their employees to a sales manager tracking numbers of sales by their representatives, tracking numbers of funds assists with evaluating operational effectiveness. If we didn’t track our numbers, the government would laugh at us when it came time to request more funding. I can definitely say metric tracking helps me in my own profession when requesting more money for a new tool or system (information security). Ok, point taken on metrics used to request additional funding (do we admit when asking for that funding that nearly all those finds/saves come from the same three guys? ), I still get the impression from discussions here that people get very competitive about the numbers internally. I do see people who DO contribute to the SAR mission getting bent out of shape because some wings don't share the love. A solution to this is the write them up for Achievement Awards. While not a find ribbon, it surely shows that their efforts are not unappreciated, and that their efforts will not go unnoticed or unrewarded. because the Group CC has the Magic Mouse (which it is increasingly becoming). B - Unless the team actually did something "over and above", they don't deserve an ACH. Prosecuting an ELT is a ground team's job, not commendable per-se. because in that case the Group CC is essentially saying to the Wing CC, "Oh yeah? Watch this." place of the Find, and that just means the Wing staff has no idea what the regulations dictate and permit. Prosecuting an ELT is a ground teams job, not commendable per-se. because in that case the Group CC is essentially saying "Oh yeah? Watch this." A while ago, before achievement medals existed, we were on an ELT search in DC. Possibilities included DCA, US Park Police helo in DC, EPIRBs in the Potomac, and random ELTs anywhere. Due to the concrete jungle we could not get a solid signal. I asked permission to gain access to the roof of a high rise in Arlington Virginia (Courthouse area), dialed down a good direction which ultimately led us to a FIND at a USCG HQ building (EPIRB sitting upside down on someone’s desk). I was awarded a Commander’s Commendation for “innovation during a search that resulted in a find.” Today that may warrant an achievement medal. I was going to agree with Eclipse that I would not want an Achievement instead of a Find Ribbon. Then I read Stonewal's post. It is in the writing. If a certificate with the Achievement mentions "During a search that resulted in a Find," I would not mind an Achievement over a Find. I got both, actually. Well, credit towards another clasp on the Find ribbon.